Arthur A. Levine Books, 9780545591614, 304pp. The joyful, bold New York Times bestseller. Look for the sequel, Shadowhouse Fall, out 9/12! Sierra Santiago planned an easy summer of making art and hanging with her friends. But then a corpse crashes their first party. Her stroke-ridden grandfather starts apologizing non-stop. And when the murals in her neighborhood start to weep tears... Well, something more sinister than the usual Brooklyn ruckus is going on. With the help of a fellow artist named Robbie, Sierra discovers shadowshaping, a magic that infuses ancestral spirits into paintings, music, and stories. But someone is killing the shadowshapers one by one. Now Sierra must unravel her family's past, take down the killer in the present, and save the future of shadowshaping for generations to come. Daniel José Older has always loved monsters, whether historical, prehistorical, or imaginary. 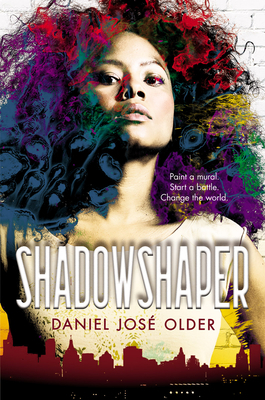 His debut series for young adults, the Shadowshaper Cypher, has earned starred reviews, the International Latino Book Award, and New York Times Notable Book and NPR Best Books of the Year picks, among other accolades. He has worked as a bike messenger, a waiter, a teacher, and was a New York City paramedic for ten years. Daniel splits his time between Brooklyn and New Orleans.